Kevin Ludwig, 33, was killed after his car crossed the center line of Highway 26 and struck a tree. A resident of Southeast Portland has died in a traffic crash in Welches, police say. 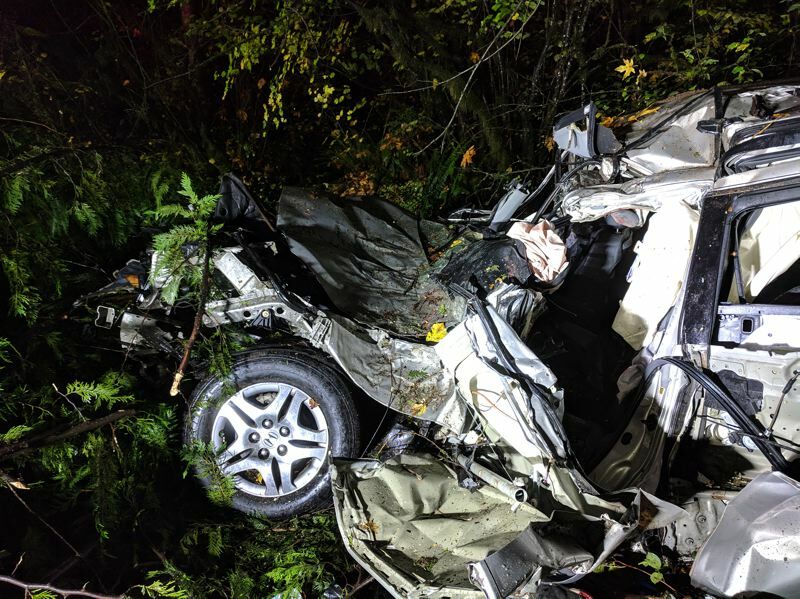 Oregon State Police troopers responded to a fatal traffic crash along U.S. Highway 26 near East Cascade Drive around 6:15 p.m. on Friday, Oct. 26, according to a news release. Police say Kevin D. Ludwig, 33, was driving a silver 2005 Honda Odyessy at the time of his death. An eyewitness told police Ludwig's car was traveling just five miles per hour on the shoulder of 26, then suddenly accelerated diagonally and crossed the center line and collided with a tree on the other side of the road. State police say the reason for the crash is otherwise "unknown." First responders at the scene were unable to save Ludwig's life. His next of kin has been notified.